Malaysia is a beautiful and diverse country with many highlights. 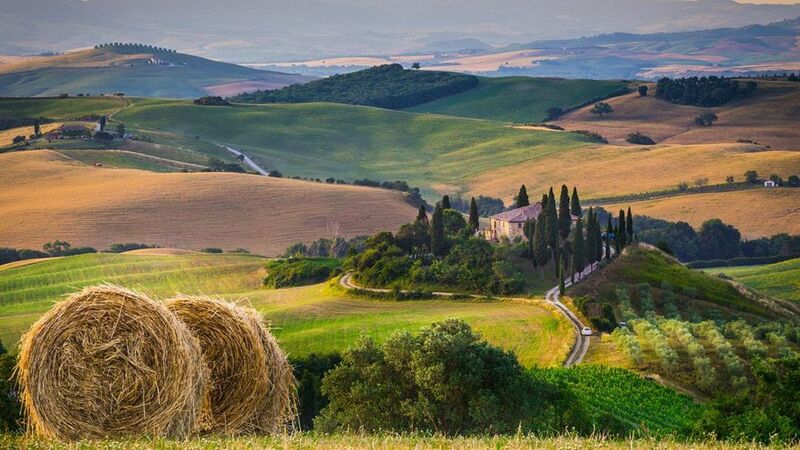 The many different regions, each with their own characteristic features, make this country the perfect destination for tourists. However, Malaysia does not entirely depend on tourism. This country's economy has been going strong for years. On the contrary to what some people (still) believe, Malaysia is not a third world country. 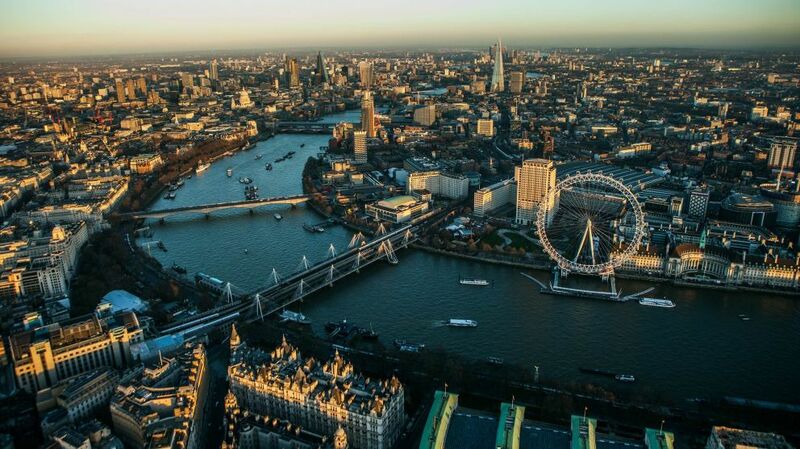 The country has developed itself enormously in the past 50 years and this is clearly noticeable when visiting it. Especially in Malaysia's capital, Kuala Lumpur, you will see many modern buildings, a modern light rail transit system, many luxurious shopping malls and countless expensive cars on the roads. Life outside of the capital is often less developed; but even there the times of people only being able to afford a motorcycle are long gone. 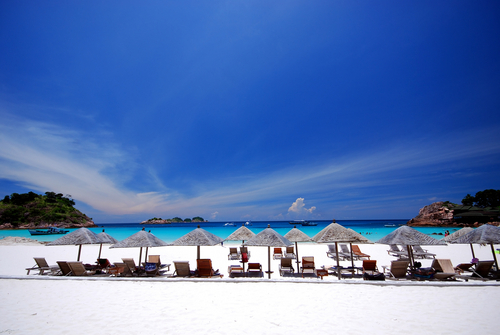 Malaysia is a tropical holiday destination, where temperatures fluctuate between 25 and 35 degrees during the year. It is usually very hot and humid, especially in the major cities. You can find the coolest places in Malaysia in the so called 'Highlands'. These highlands lie higher than the rest of the country, and because of this temperatures usually are noticeable lower. 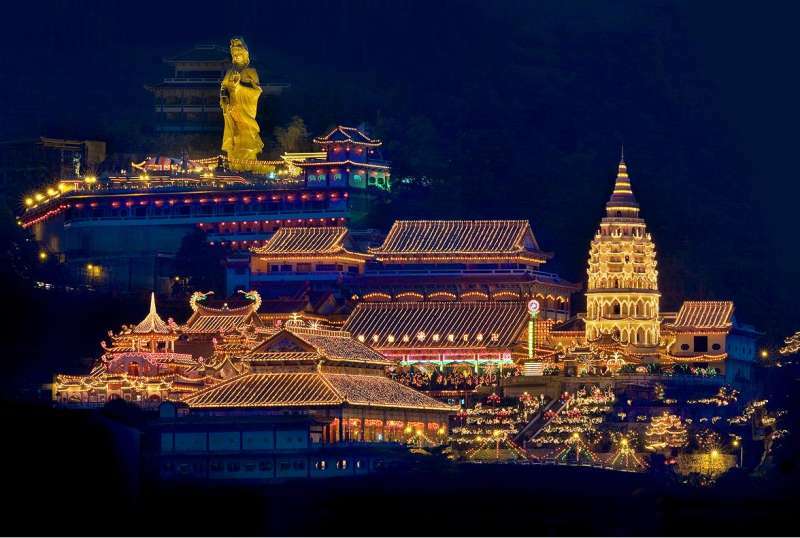 Examples of popular highlands are Cameron Highlands, Fraser Hill, Genting Highlands and the area near Gungung Ledang. Eating out is very common in Malaysia. The biggest part of the population seldom cooks at home. The main reason is that eating out is generally cheaper than buying ingredients at the supermarket and cooking your own dishes. Most dishes in Malaysia are either based on rice or mee. Malay dishes often contains beef, chicken, mutton or fish; but never pork as Malay food needs to be halal. Chinese dishes often contains pork. Indian dishes are often vegetarian; and they never contain beef (though Indians do eat chicken, mutton and fish). There are two types of holidays in Malaysia; those recognized at the national, and those recognized at the state levels. 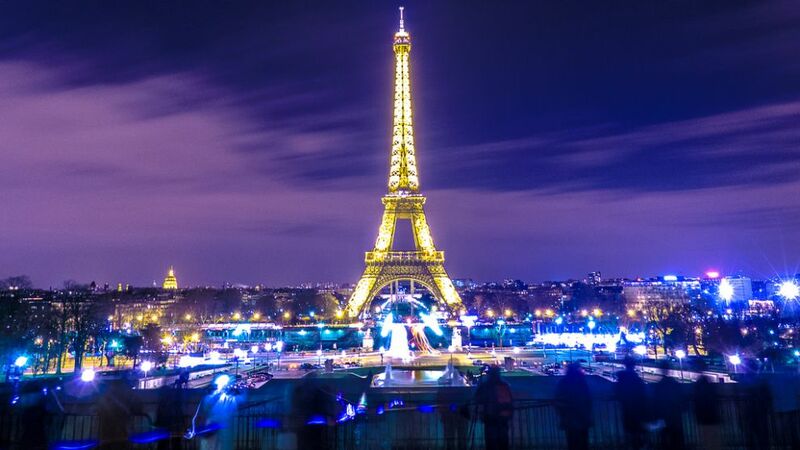 National holidays are normally observed by most governmental and private organizations. In addition, government agencies are closed every Saturday and Sunday. Meanwhile in Kedah, Kelantan and Terengganu, government agencies are closed every Friday and Saturday. Malaysia offers two very distinct experiences: the peninsula and Borneo (an island shared with Indonesia and Brunei). 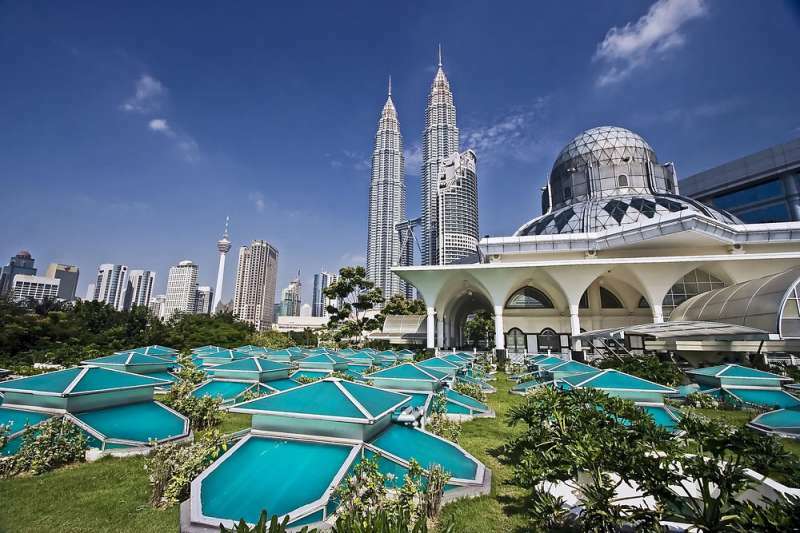 The peninsula is a mix of Malay, Chinese and Indian flavors with an efficient and modern capital, Kuala Lumpur. Malaysian Borneo features some of the most interesting places in Malaysia with a wild jungle, orangutans, granite peaks and remote tribes. Combined with some beautiful islands, luxury resorts and colonials towns, Malaysia, for most visitors, presents a happy mix. :: Sabah :: Covering 73,711 sq-km of the northern part of Borneo, the state of Sabah stretches from the South China Sea in the west to the Sulu Sea in the east and is a land where nature comes alive in all its glory. 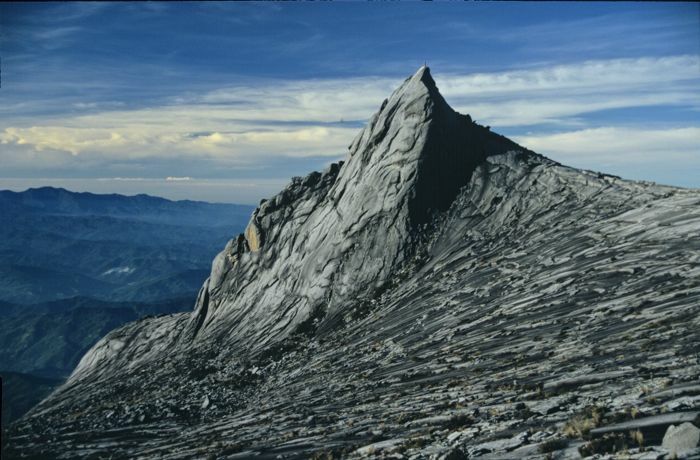 Sabah is home to the 4,095-metres high Mount Kinabalu – one of the highest peaks in South East Asia. :: Sarawak :: Sarawak is Malaysia’s largest state and is known as the “Land of Hornbills”. It is situated along the north-western edge of Borneo and is home to more than 15 national parks and wildlife preserves. Numerous rivers connect the inland areas to the main towns, and a boat trip from the capital Kuching to visit tribal communities and trek in the surrounding forests is an activity that should not be missed. Bako National Park is home to the bizarre, large-nosed proboscis monkey and Bukit Lambir National Park is renowned for its beautiful waterfalls and tranquillity. :: Redang Island :: Redang Island is one of nine islands that form a protected marine park and it offers excellent diving opportunities. Of most interest are the beautiful bays on the eastern side of the island, including Teluk Dalam, Teluk Kalong and Pasir Panjang. :: Tioman Island :: Tioman Island is an idyllic location that was used as the setting for the 1950s film South Pacific. Although it is only 39-km long and 12-km wide, it boasts white sandy beaches that line several small bays and jungle mountain trails with abundant streams and waterfalls. :: Kuala Lumpur :: “KL”, as it is known to the locals, has a real buzz to it, with a vibrant nightlife, fantastic dining and a wealth of history and culture. The ethnic and cultural mix of Malays, Chinese and Indians is prevalent in conversations on the street, in physical landmarks in the shape of mosques and temples, and in the delicious and diverse cuisine. Most tourists head first to Bukit Bintang where the city’s major shopping outlets are located. This area of modern Kuala Lumpur is centred in the city’s “Golden Triangle” and bordered by Jalan Ampang, Jalan Tun Razak, and Jalan Imbi and it is home to towering office blocks, shopping malls, the KL Tower and the iconic Petronas Twin Towers. :: Malacca :: Malacca was once filled with the billowing sails of tall-mast ships as Europeans, Indians and Chinese merchants traded spices, silks, opium and tobacco along the East-West trade route. 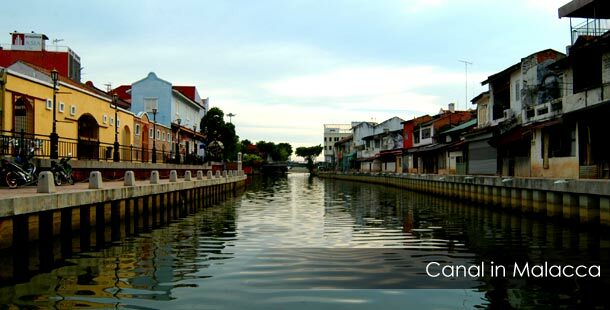 Malacca still retains the flavour of its historic past in the streets, buildings and ambiance of the town. Attractions include the Maritime Museum, which has a life-sized replica of an old Portuguese galleon, St John’s Fort, Jonker Street, which is a haven for antique hunters and the Baba and Nonya Centre, which boasts a blend of Malay and Chinese culture. Malacca has retained much of its old-world charm, with evidence of past Portuguese, Dutch and British colonialism, enhanced with the cultures of Arabs, Indians, and the Chinese. :: Pangkor Island :: Pangkor comprises of nine islands, although the islands are often collectively referred to as one. Pangkor and Pangkor Laut are the two biggest and the only two inhabited by humans. Pangkor Island is a secluded hideaway with laid back tropical resorts dripping with South East Asian ambience. :: Penang :: Once the seat of British colonial power in the region, Penang is one of Malaysia’s most popular destinations and offers historical George Town, the beaches of Batu Ferringhi and traditional fishing villages such as Teluk Bahang. 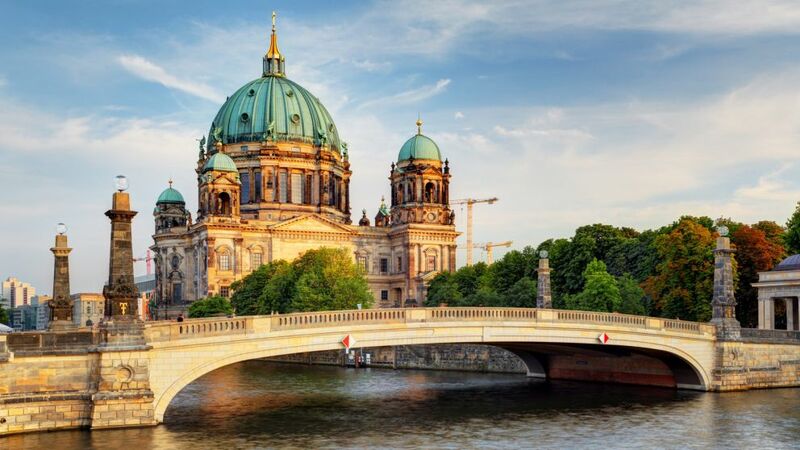 The capital George Town is a bustling, colourful city of shop houses, impressive colonial architecture and countless rickshaws whizzing tourists around the maze of broad streets and narrow lanes. :: Visiting the island of Langkawi :: Off the north-western coast of Peninsular Malaysia lies legendary Langkawi, the leading destination of a cluster of 99 islands. Miles of sandy white beaches, serene villages and acres of rice paddy fields make Langkawi an idyllic holiday choice. Island hopping, duty-free shopping, high-end resorts, historical landmarks, water sports, golf, marinas and a cable car are the island’s greatest attractions. Langkawi’s mountainous interior and lush vegetation is home to some of the world’s most exotic plant and wildlife and is well worth a visit. :: Taman Negara :: Covering 4,343 sq-km and at twice the size of Luxembourg, Taman Negara, Peninsular Malaysia’s greatest national park sprawls across the states of Pahang, Kelantan and Terengganu. Everything about Taman Negara is gigantic: the trees are massive, the forest impenetrably huge, and it dates back 130 million years. Taman Negara’s tropical rainforest is one of the most complex and rich ecosystems in the world and is home to around 14,000 species of plants and trees, including 2,400 species of flowering plants; 200 species of mammals; 350 species of birds; 67 species of snakes; 55 species of frogs; 80 species of bats; 30 species of rats; and 109 species of freshwater fish. Visitors can go on jungle treks, climb mountains, shoot the rapids or explore caves such as Gua Kepayang and Gua Menari. :: Cameron Highlands :: Situated in the north-western corner of Peninsular Malaysia, the Cameron Highlands is Malaysia’s most extensive hill station. Rising to an altitude of between 1,300 to 1,829-metres, the Cameron Highlands is a vast area of rolling green hills and forests stretching along the road from the town of Ringlet, onto the main towns of Tanah Rata, Brinchang and beyond. The character of this area is a legacy of the days when the British fled the heat of the cities for the cooler temperatures of these highlands. 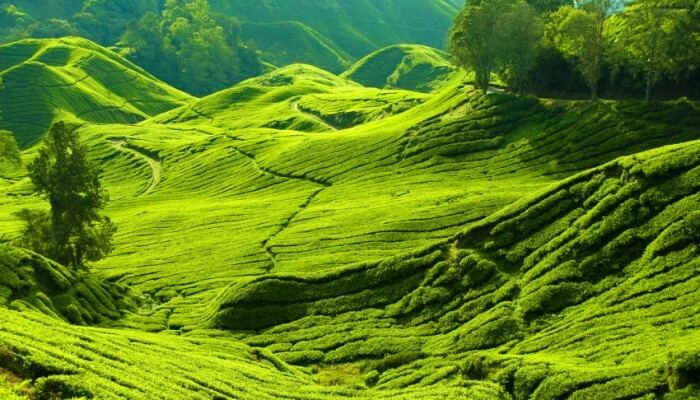 Known as “Malaysia’s cool green carpet” the highlands are famous for their picturesque tea plantations, terraces and flower gardens and offer a complete contrast to the low-lying areas. The Malaysian Ringgit is the currency in Malaysia (MY, MYS). The symbol for MYR can be written RM. The Indian Rupee is divided into 100 paise. The Malaysian Ringgit is divided into 100 sen.
* Passport valid at least Nine months. * 2 photographs with white background 35x45mm. * Covering letter for stating purpose of visit. * Bank statements last three months.